Embroidered felt hat, Jungle Flower! 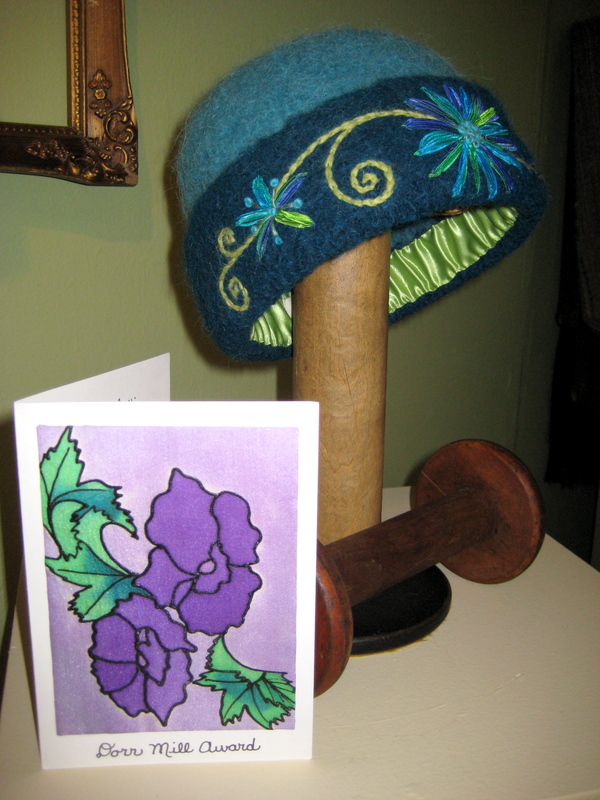 My felted knit hat, "Jungle Flower" won this year's Dorr Mill Award at the Sunapee Fair. Each August, visitors to the League of New Hampshire Craftsmen’s Sunapee Fair can visit CraftWear, a glorious collection of fine, handmade art-to-wear. 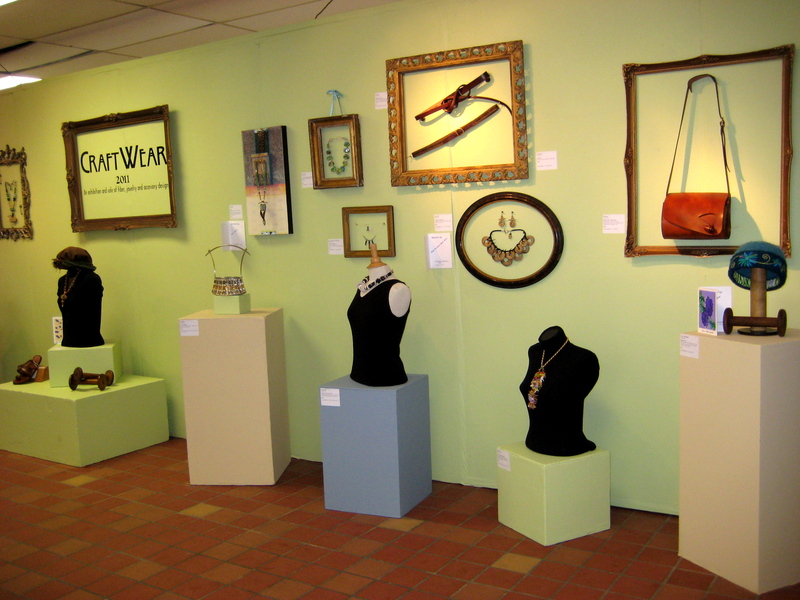 The LNHC CraftWear boutique offers one-of-a-kind jewelry, clothing and accessories. 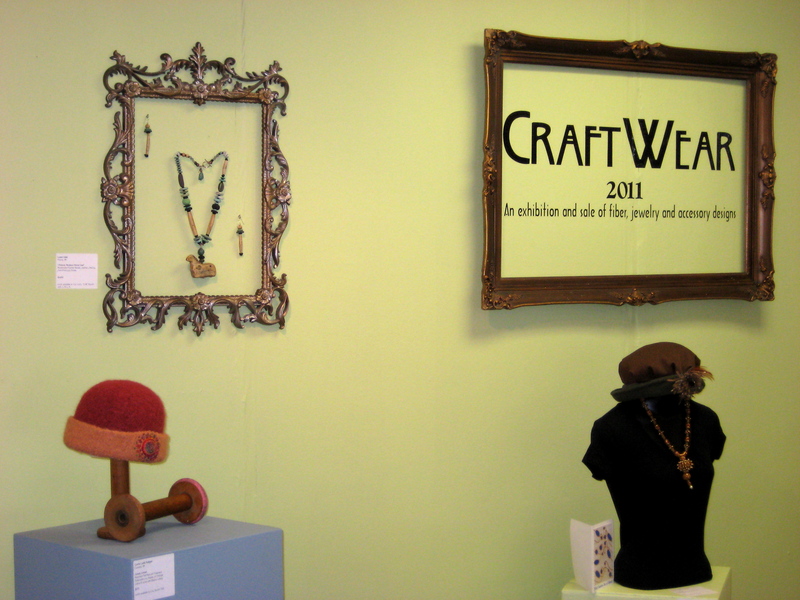 The CraftWear Exhibit at the League of NH Craftsmen's Annual Fair, 2011. Many thanks to Dorr Mill, for the award. I’m delighted by the recognition, especially considering the talent of my fiber artist peers. As much as I’m a hockey addict, I’m also a public radio junkie. 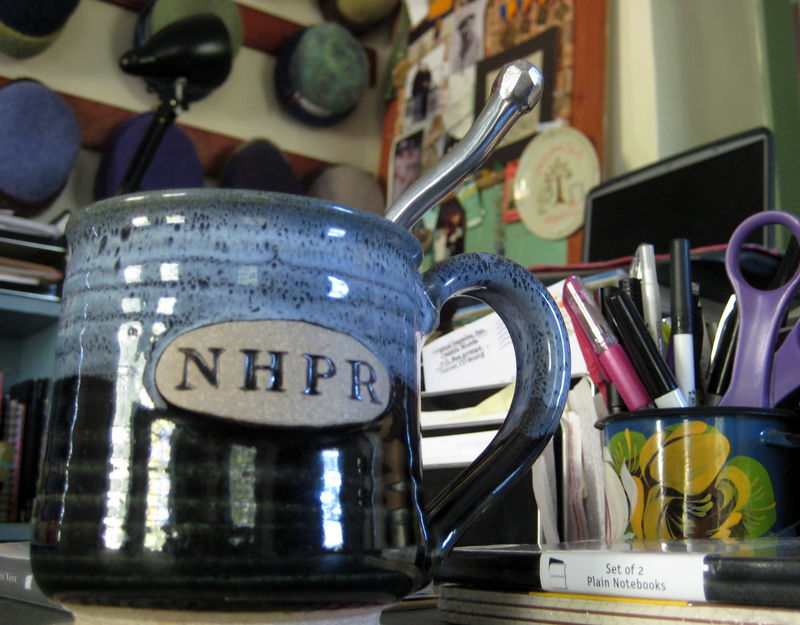 This hand-crafted NHPR membership mug from 2007 is right at home in my hat studio. Today, I found myself in the rink parking lot, having a “driveway moment.” I was enthralled by a story about the new headquarters for the League of New Hampshire Craftsmen in Concord, NH. There will be a Grand Opening reception tomorrow, October 26, 2011, from 3pm – 8pm, which I’m hoping to attend. See you there? Thank you, Virginia Prescott (of NHPR’s Word of Mouth) for the “moment”! 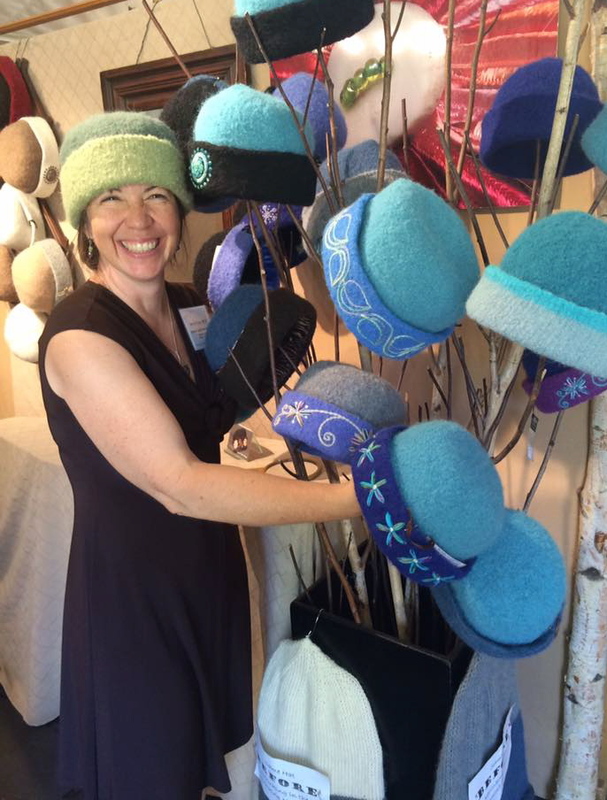 I found this glowing review of my hats at Sunapee & wanted to share… Enjoy! Check out styles and prices for every head! 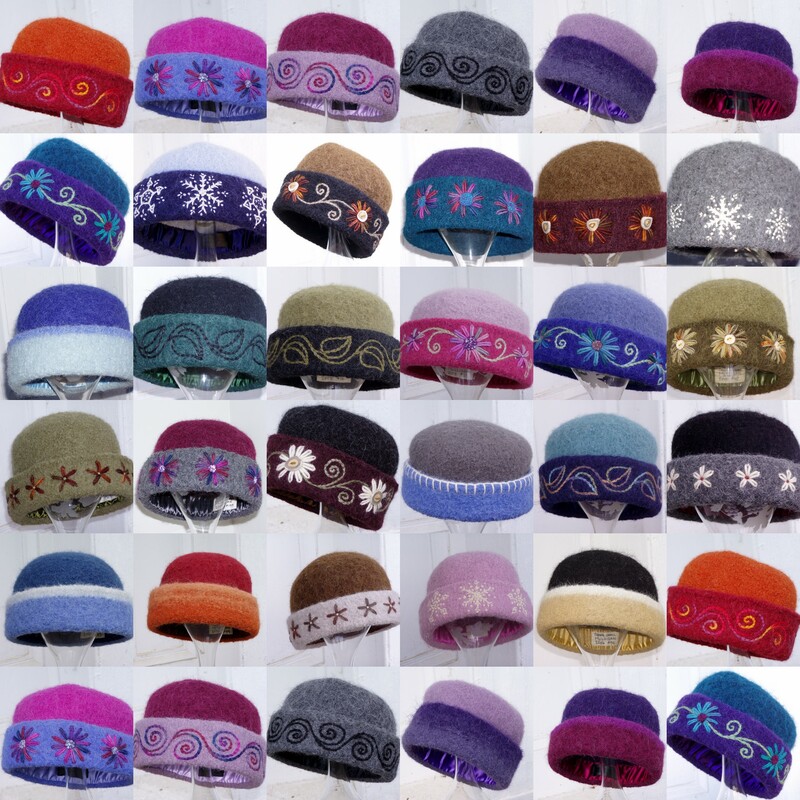 I create highly functional, exquisitely handcrafted art-to-wear Heirloom Handknit Hats. Winter is wonderful... but not if you're cold. That's where a lovely, warm hat fits in! If wearing one of my hats helps you get outside and enjoy yourself, then I will have played my small part in making the world a little warmer and brighter. Your head is sacred. It's my mission to create original art-to-wear hats that are worthy of your head.